Dive into a delicious world of delights, with The Chocolate Trading Company. Whether you prefer white, dark or milk, there’s countless varieties for everyone. If you’ve got dietary requirements, you can still get your fix with The Chocolate Trading Company. Alcohol free, dairy free, nut free, gluten free, and a wide selection of vegetarian and vegan varieties, The Chocolate Trading Company have got everybody covered. What’s more, The Chocolate Trading Company offers specific chocolates for all events. Mother’s day, father’s day, Halloween, Valentine’s, Christmas, birthdays, weddings; The Chocolate Trading Company offers a staggering range of treats. From cute little chocolate bunnies to spooky choccy ghosts, The Chocolate Trading Company have solutions for every day of the year, and with the option for nominated day delivery, you can make sure they arrive where you want them exactly when you want them. With consistent quality and incredible craftsmanship the key ingredients of everything they sell, The Chocolate Trading Company really is truly scrumptious. How do I use my Chocolate Trading Company discount code? If not code needed, discount is included in the final price! Register an account with The Chocolate Trading Company to instantly receive 10 loyalty points! Do The Chocolate Trading Company offer personalised gifts? The Chocolate Trading Company offers a fantastic range of personalised gifts, see the range here. How old do I have to be to shop at The Chocolate Trading Company? As The Chocolate Trading Company only accepts purchases from those individuals who can create legally binding contracts, customers must be over the age of 18. Do The Chocolate Trading Company offer free shipping? 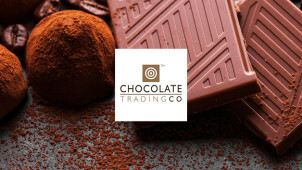 The Chocolate Trading Company offers free shipping on all orders with a total value of over £200. Perishable items, those with a use-by date, cannot be returned as they may not be suitable for resale. Get the golden ticket to a world of delicious gourmet chocolate with The Chocolate Trading Company. Since setting up shop in 2002, they have gone from strength to strength, and are today one of the UK’s leading chocolate suppliers. Grab a Chocolate Trading Company discount code today and treat yourself to some incredible chocolate without breaking the bank. For special occasions such as valentine’s day and anniversaries, or just to indulge your sweet tooth, pick The Chocolate Trading Company. The Chocolate Trading Company stocks only the best of the best, specialising in luxury chocolate for the sweet-toothed connoisseur. With a luxuriant range of bars, boxes, hampers, hot chocolate and more, with The Chocolate Trading Company you’re stepping into a world of opulence and indulgence. With artisan truffles, magical marzipan and more varieties of chocolate than you could possibly imagine, The Chocolate Trading Company does exactly what it says on the box, and more. To tickle your funny bone and tantalise your tastebuds, take a look at The Chocolate Trading Company’s incredible range of novelty chocolates. From cigars to sardines and from corkscrews to horse shoes, there’s a wide variety of choccy funnies, and with a Chocolate Trading Company voucher you can pick one up for a price that’ll put a smile on your face, too. The perfect gift for a chocoholic with a sense of humour, or just a cheeky treat for yourself!